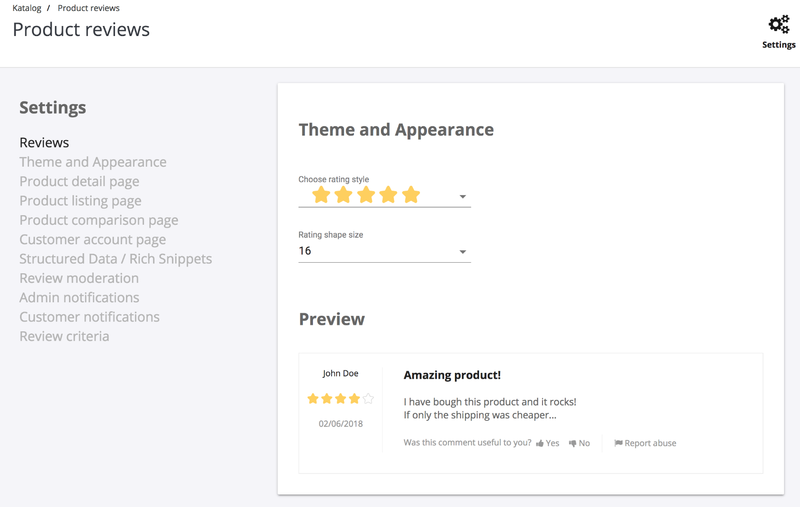 This free module will let your customers easily review your products. Product reviews are the best way to build trust and increase conversion rate by showcasing your happy customers. Let your customers do the talking! Integrated rich snippets support will highlight your store on Google’s search engine result page, which will bring in more customers. During development of this module we have closely cooperated with real-world merchants to ensure that it covers most use cases. Free version of this module is very powerful. It will let you handle your product reviews with ease. you can ask your customers to review different aspects of your products to learn more detailed informations. Of course, some review criteria can apply to specific categories or products only - there’s no reason to ask your customers how they like the taste of their new iPad. theming options - you don’t have to use standard star symbol anymore, why not use, for example, heart? 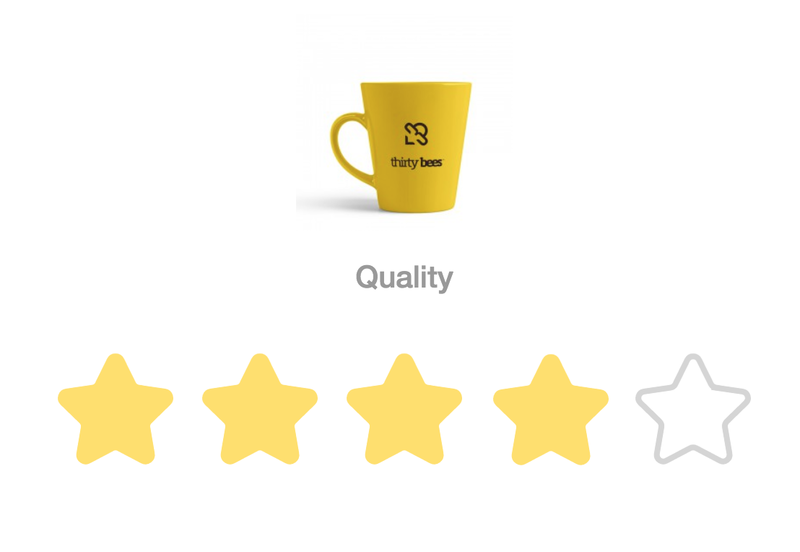 store reviews - your customers can create reviews not only for products, but also for your store itself. By displaying them on your homepage you will immediately establish trust. 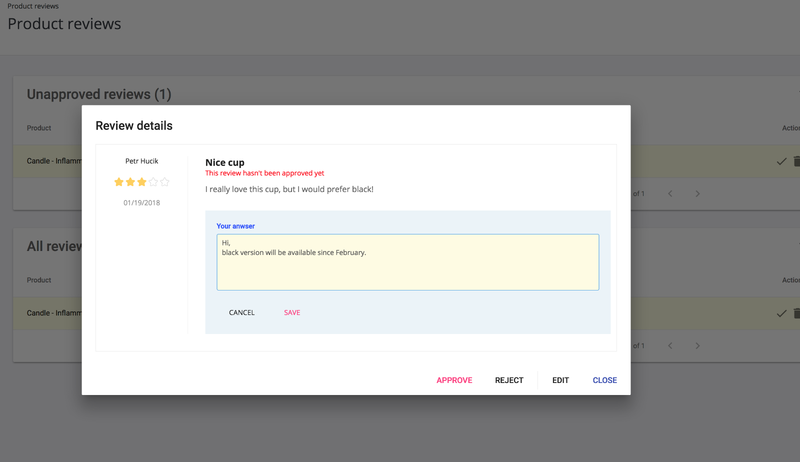 premium version will help you collect more reviews by automatically sending review request to customers who purchased products recently. 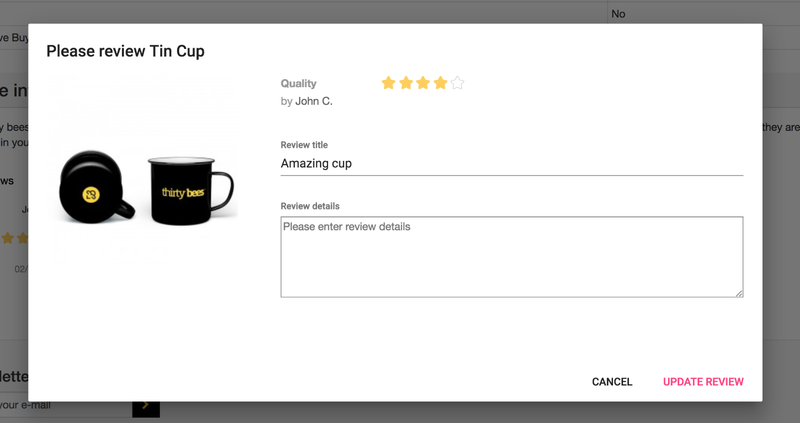 Your customers can review the product directly from the email. You can test premium version of revws module on my demo account. In back-office you will find it under Catalog > Product reviews. You can choose between free and premium versions. Thank you for downloading datakick module. We hope you will find it useful. We are always working hard on making this module even better. If you give us your email address, we will inform you when new version is available. You have decided to access our site without using cookies and other technologies that could greatly enhance your experience. We respect your decision and promise that we will not track you.